A sizable body of research evidence addresses four domains of potential biological influence on the development of substance use disorders and addiction. 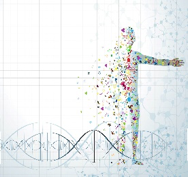 Genetics: Genetic studies paint a picture indicating that genetics are important in both the appearance of and resistance to substance use disorders. Individuals with genetically close relatives (parents or adult siblings) experiencing a substance use disorder involving opioids, cocaine, cannabis or alcohol have up to an eight times higher risk of developing a substance use disorder themselves (Merikangas, et al, 1998). 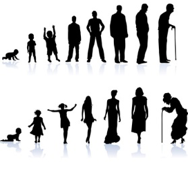 However, genetics alone do not determine a person’s destiny: genetic makeup interacts with environment and a person’s lifetime of experiences and interactions with their environmental contexts to determine whether a substance use disorder emerges. It is critically important to note that a majority of individuals with a family history of substance use disorders never develop the problem themselves. Just to repeat that fact: most people with substance use disorders in their family history never develop the problem themselves. Another fact that has emerged from decades of research is that there is no one specific “addiction gene” that applies to all different types of substances. Some of the genes involved are very specific to certain substances—what may “pull” for an alcohol use disorder may not “pull” for a problem with cocaine, for example. Some of the genes involved are not specific to substance use disorders per se, but to a class of problems that have substance misuse as an element—for example, depression. The more we learn about the specific combinations of genes that might be involved, exciting new biological tools for treating or even preventing addiction may emerge, including medications and perhaps even immunizations someday! Neurobiology: The biological realm of addiction studies also includes neuroanatomy, neurophysiology, and neurochemistry. Together, neuroanatomy, neurotransmitters, and neurophysiology investigators have begun to develop increasingly complex, detailed, functional maps of the various regions of the brain involved with progression from the use of substances to a substance use disorder. These maps show how the brain’s powerful pain, pleasure, reward, and memory systems interact in the complex process of developing an addiction. This also helps us understand how difficult it can be to recover from addiction–difficult, but not impossible. 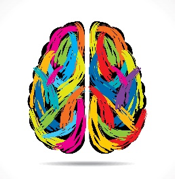 Learning about the actions of specific substances on the neurochemistry (neurotransmitters) in our brains also helps us develop strategies for intervening with substance use disorders, including medications and the use of mindfulness meditation and neurofeedback approaches. Human Development: Investigators also direct considerable attention to the developmental effects of a person’s exposure to alcohol and other drugs. Many effects of prenatal exposure to alcohol or other drugs do not show up right away at birth; they may not show up until children enter school years later. You may have heard of fetal alcohol syndrome (FAS), which is at the most extreme end of the continuum; many of the neurological effects and birth defects are more subtle, but still have a profound impact on a person’s development, learning, social skills, and other important functions. Many of these same effects and issues apply to substances other than alcohol to which a fetus might be exposed during a woman’s pregnancy. In addition, investigators are concerned about the effects of exposure during adolescence and early adulthood. The use of alcohol or other drugs during these years can have profound, lasting effects on the still-developing brain; effects which have significant implications for how people think, behave, and feel, as well as for susceptibility to addiction later in life (see for example Spear, 2002; Squeglia, Jacobus, & Tapert, 2009). All of the evidence suggests that the earlier a person begins using alcohol or other substances, the greater the likelihood of eventually developing a substance use disorder, because of the interaction between exposure and these brain changes at a critical developmental point. Finally, consider the fact that a person’s overall health and development may be affected by poor nutrition, physical trauma or injury, or exposure to diseases that often accompany substance misuse. Biopsychosocial Perspective: Remember that we are only teasing out one piece of the biopsychosocial perspective in this module—only the biological. As we move into future modules, you will see how this piece fits together with the others to create the larger picture of complexity related to substance use, misuse, addiction. Draw a diagram of your family tree for at least three or four generations—this could include both your biological and adoptive family. Use a colored highlighter to mark everyone who you know or suspect had a problem with alcohol or other drugs during their lifetime. Is there a pattern to what you see? What are the implications for your own risk? What are the implications for your own resilience? Do you see how genetics are informative but not completely predictive of what happens related to people developing problems with alcohol or other drugs? Ch. 1: Introduction to Biological Models of Addiction by Audrey Begun is licensed under a Creative Commons Attribution-NonCommercial-NoDerivatives 4.0 International License, except where otherwise noted.